Hi Karen and everyone at Icewind! Just wanted to thank you and let you know how happy we are to have Sadie in our family. She so super sweet, loving and smart. Everyone we meet goes bananas over her because she is such a beautiful and friendly girl. 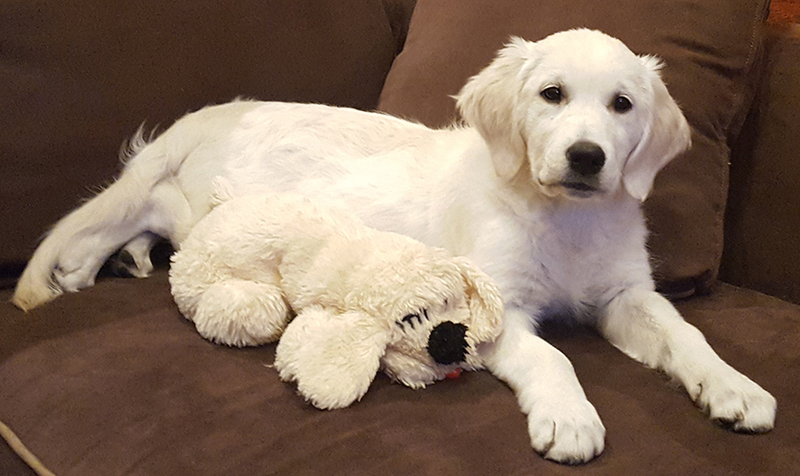 As you can see in the picture Sadie is growing so fast (and still loves her snuggle puppy). We couldn’t be happier.